Mark McNulty; Conor McCarthy, Alan Bennett, Dan Casey, Kevin O'Connor (Shane Griffin 81); Conor McCormack, Gearoid Morrissey; Garry Comerford, Garry Buckley (Matthew Gillam 90), Cian Murphy (Darragh Crowley 26); Graham Cummins. Brendan Clarke; David Webster, Kevin Toner, Lee Desmond; Simon Madden, Jamie Lennon (James Doona 85), Ian Bermingham (Ciaran Kelly 45), Rhys McCabe, Conor Clifford; Darragh Markey (Dean Clarke 73), Gary Shaw. 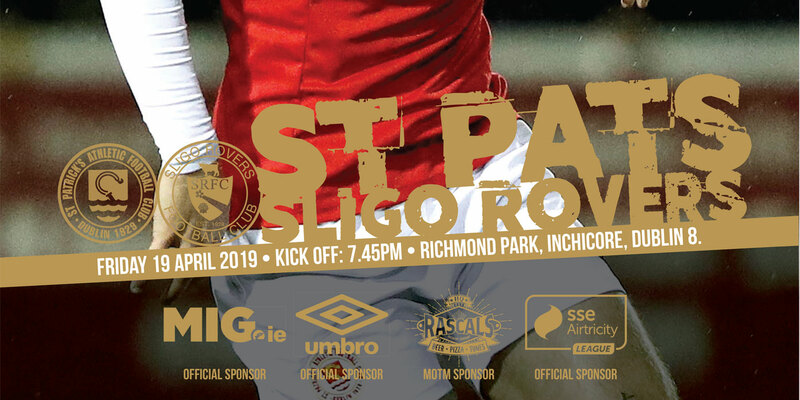 A last-minute finish from Dean Clarke secured an unlikely point for St Patrick's Athletic as they held Cork City to a 1-1 draw in their SSE Airtricity League Premier Division clash at Turner's Cross on Friday evening. Graham Cummins's first-half penalty, which saw David Webster sent off for an off the ball incident in the build-up, looked set to give City the win but Clarke's late close-range finish earned Pats a share of the spoils. 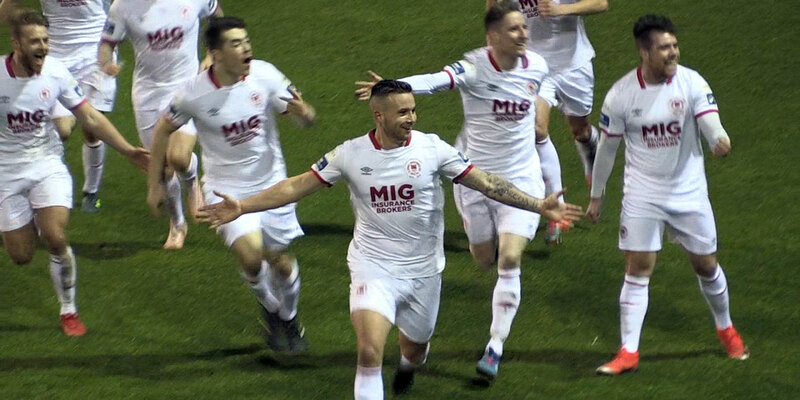 Harry Kenny made one switch to the team that defeated Dundalk 1-0 at Richmond Park last Friday night as Darragh Markey came in for Chris Forrester, who missed out on a place in the squad entirely. The visitors went close to taking the lead after just two minutes but Rhys McCabe's ambitious volley drifted narrowly wide of the far top left corner. John Caulfield made three changes to his side which was comfortably beaten 3-1 by Shamrock Rovers on home soil last time out. Garry Comerford and Cian Murphy replaced Karl Sheppard and James Tilley in attack while Captain Alan Bennett took the place of Sean McLoughlin in defence. The home side eventually grew into the contest here and they should have taken the lead with just 16 minutes on the clock. Midfielder Garry Comerford's long throw found the head of Dan Casey but his effort clipped the far right post before Graham Cummins nodded his rebound against the same upright from close range. 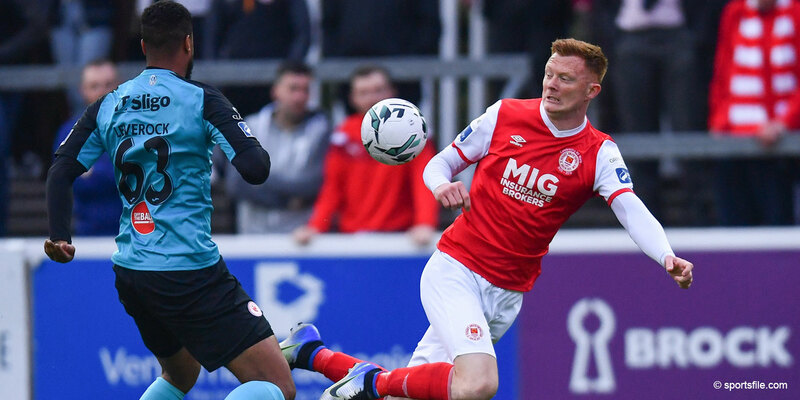 Pats defender David Webster was given a straight red card following an off the ball incident with Graham Cummins and their misery was compounded with the Cork number nine planted his resulting penalty into the bottom left corner. The Leesiders almost doubled their lead in injury time at the end of the first half but Brendan Clarke did exceptionally well to turn Garry Comerford's fierce drive from thirty yards against the underside of his own bar. Pats created the first opportunity of the second period as striker Gary Shaw sent a weak header straight at Mark McNulty but City soon regained control of proceedings. Cummins twice spurned decent openings with his head as the half progressed while Gearoid Morrissey drilled over from a tight angle after being set up by Darragh Crowley inside the area. City would rue those missed opportunities as in the final minute of play, Pats levelled when Dean Clarke poked home from a couple of yards following a mix up between Alan Bennett and Conor McCarthy.